Dr. Khawam grew up in Montreal and obtained his doctorate in dentistry from the University of Montreal in 2011. The same year, he moved to Newfoundland where he practiced for five years. Back in Quebec, he moved to Drummondville in the summer of 2016 and joined the ranks of Dr. Denis Raiche’s team. He acquires the clinic in December 2016. 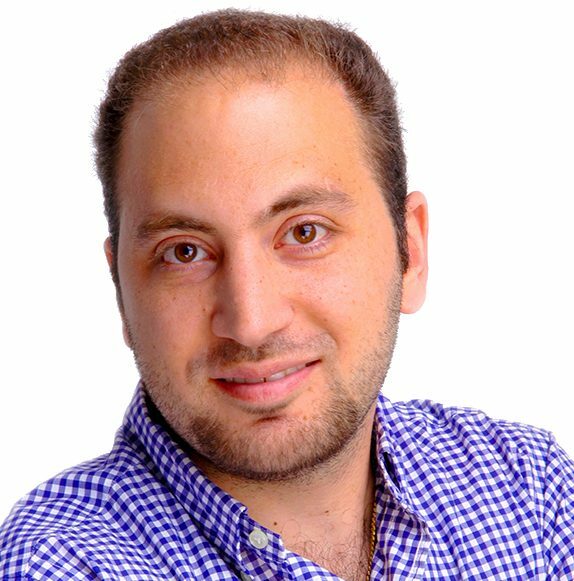 Eager for knowledge, Dr. Khawam concentrates his continuing education and qualifications in endodontics, laser technologies, Invisalign, dental rehabilitation and implantology. 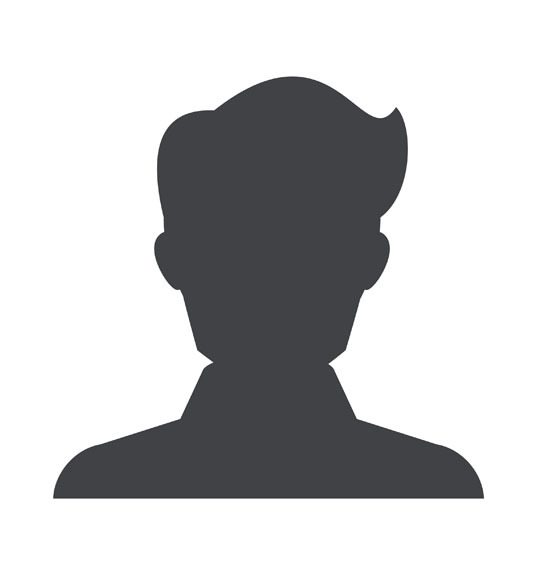 His patients greatly appreciate his attentiveness to their needs and his unparalleled professionalism. Practicing hobbies where camaraderie is king, Dr. Khawam welcomes you with natural empathy and is sensitive to your situation. Dr. Denis Raiche obtained a Bachelor’s degree in chemistry from the Université de Sherbrooke and, in 1983, his doctorate in dentistry at the Université de Montréal. He founded the Denis Raiche Dental Clinic the same year. In December 2016, the clinic changed its name to Ste-Croix Drummondville Dental Clinic. Orienting his practice towards family dentistry, he has continued to expand his skills and to enlarge his interests in new technologies in the dental field. Committed to his community, he was also president of the Ste-Croix Foundation from 2005 to 2007. When not at the clinic, Dr. Raiche enjoys reading or playing golf. His calmness and concentration allow him to offer you care executed with precision and confidence. 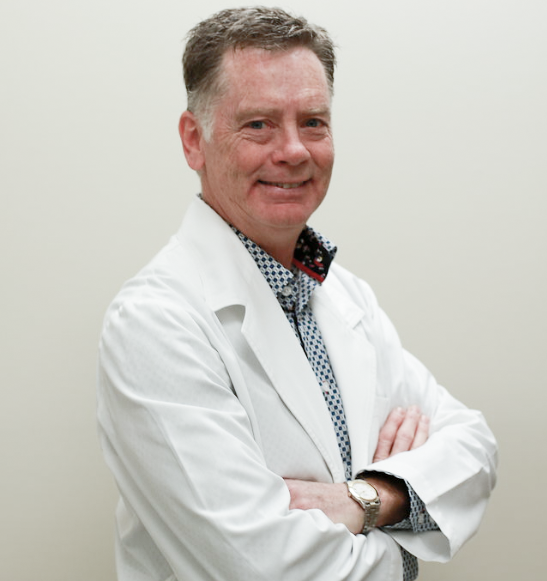 After obtaining his doctorate in dentistry at the Université de Montréal in 1990, Dr. Max Miller completed the following year a multidisciplinary residency in dentistry at Laval University. From 1992 to 1996, he specialized in oral and maxillofacial surgery at Université Laval and Hôpital de l’Enfant-Jésus. In 1999, he joined the dynamic team of the Ste-Croix Drummondville Dental Clinic. He provides specialized treatments in maxillofacial surgery, temporomandibular joint and implantology with the possibility of intravenous sedation. In order to perfect his practice, he spent a year in research at the Hines VA Hospital in Chicago. Since 1997, he has been a member of the Royal College of Dentists of Canada and, since 1999, of the American College of Oral and Maxillofacial Surgeons (ACOMS). Attentive, empathetic and professional, Dr. Max Miller is very appreciated by his patients. He privileges a human approach as well as gentle care.